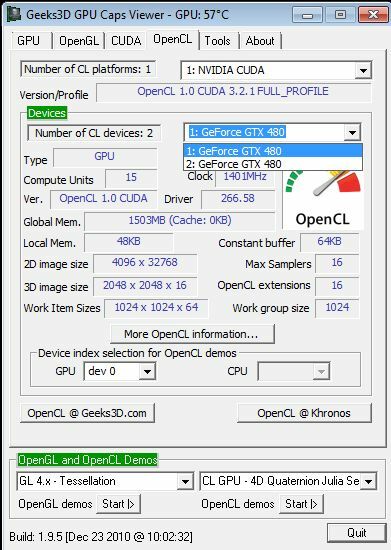 Then no apple-to-apple comparison but only OpenCL / Radeon vs CUDA / GeForce… I wonder why oclHashCat OpenCL support is not enabled on GeForce boards? oclHashcat 0.2.4 requires ATI Stream v2.3 for Radeon HD 6000 Series support. Just install Catalyst 10.12 APP and you’re ok.
For GeForce boards I launched cudaExample.cmd and oclExample.cmd for Radeon boards. The performance of the HD 6970 is very good (and I’m sure we’ll see performance boost with future drivers) and according to this test, one Cayman is faster than two GF100. That explains why oclHashcat uses only one GPU when CrossFire was disabled. This seems to be very improvable. By the way… since my second gtx 460 is 10-15 degrees lower in temps than my first, I overclocked the second card a bit more. @jK – actually at password recovery/cracking algorithms Radeon stream processor architecture is the most powerful. AES, SHA-1, MD5, all those are clear AMD victory. OpenCL or not. 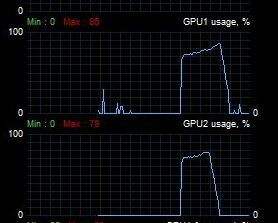 Getting 1305M on my 570@850Mhz SLI, but the cards operate at ~50% each, so there’s something wrong really. try plug some monitor on the second card and expand desktop. Windows disable “unused” GPU. then you should see second card and even in 5970+6970 scenario. Given Cayman XT has a combined 24,2% processor/clock advantage, 21% improved performance in this test (comparing the posted an my own results) doesn’t seem that bad but not earth-shattering also. The app is nice however OCL on Radeon isn’t the best choice here. A lot of horsepower is lost with OCL on radeons while there’s faster app. IGHASHGPU (written by Ivan Golubev) works both with CUDA (GF) and CAL (RADEON). Radeons are more powerful there as CAL is more efficient than OCL. Same applies to IGRARGPU, E.W.S.A. (elcomsoft wifi soft) or Accent office password recovery. I guess Radeons are clear choice in cryptography tasks (and heavy arithmetics) while GF are better suited to general purpose. yes but you compare apples and oranges. ighashgpu is a brute force only cracker. 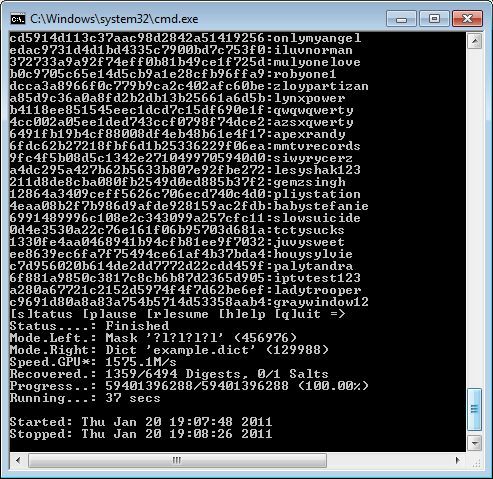 oclHashcat is a wordlist based cracker that can optionally do brute force cracking. modern hashing algorithms are salted and heavily iterated which means the future in password cracking is wordlist based especially in gpgpu. that is why the autor of the article did a good choice showing a modern cracker like oclHashcat. Just like comparing OpenCL based app for Radeon and CUDA based for NV. 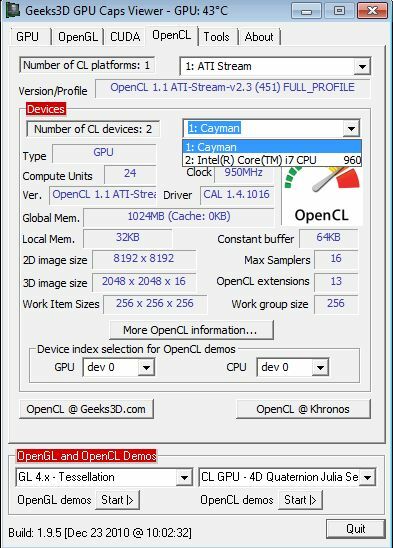 We all know OpenCL based code is slower than native solutions (on GPUs, not always on CPUs). All I wanted to say is that AMD architectures (even the old ones like RV670 or 770) are best suited to the tasks related with cryptography even when you compare apps written in native hw close API. The only one test which might give direct comparison is GPCBenchmarkOCL SHA-1 test (cryptography) and IIRC it clearly shows slight advantage of AMD there too. Then what in my comment above you disagree? Check the hashcat forum for more news and support guys. Yes AMD cards for way faster than NV cards for password cracking on GPU. My 5770 does 3.3 billion NTLM.